A new feature of this blog will be posts highlighting some the great things happening in Children’s Ministry at Granite Springs Church. One of the reasons I started attending GS was so my kids could have a strong ministry program that catered to their specific needs, and I have not been disappointed! Check here regularly for updates from Busy Builders and Granite Kids as well as other scheduled activities for children throughout the year. The Busy Builders (3-5 years) room is one of the busiest at Granite Springs, so the name fits! Among the Lincoln Logs and the Play-Doh, the sticky fingers and the Goldfish crackers are little minds and hearts that are learning important lessons. Last week, teacher Lori Frey introduced the kids to the story of Daniel in the lion’s den (Daniel 6: 1-28). 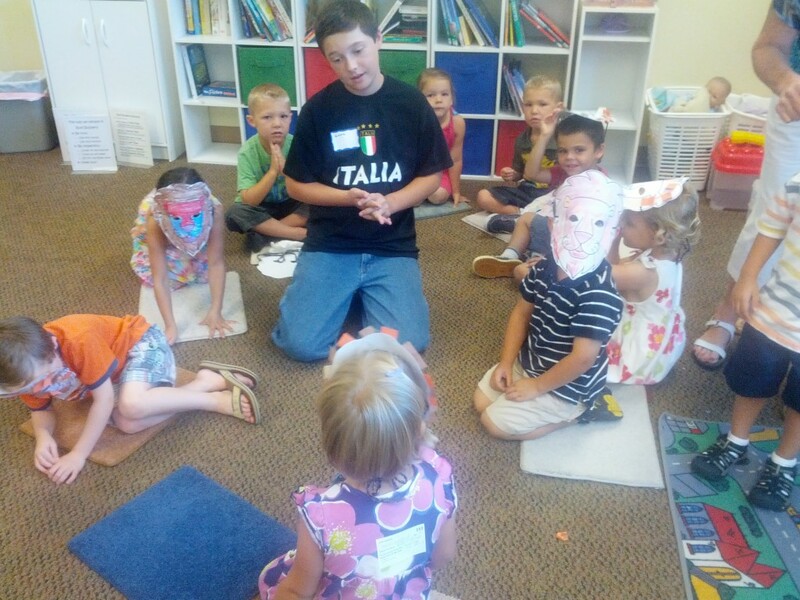 As she shared the story, her helper Eddie pretended to be Daniel praying for God’s help as he was surrounded by “lions” (really just our Busy Builders in masks they colored themselves!) The kids practiced being hungry lions and sleeping lions as Ms. Lori read to them about Daniel and his story of great faith and the power of prayer. 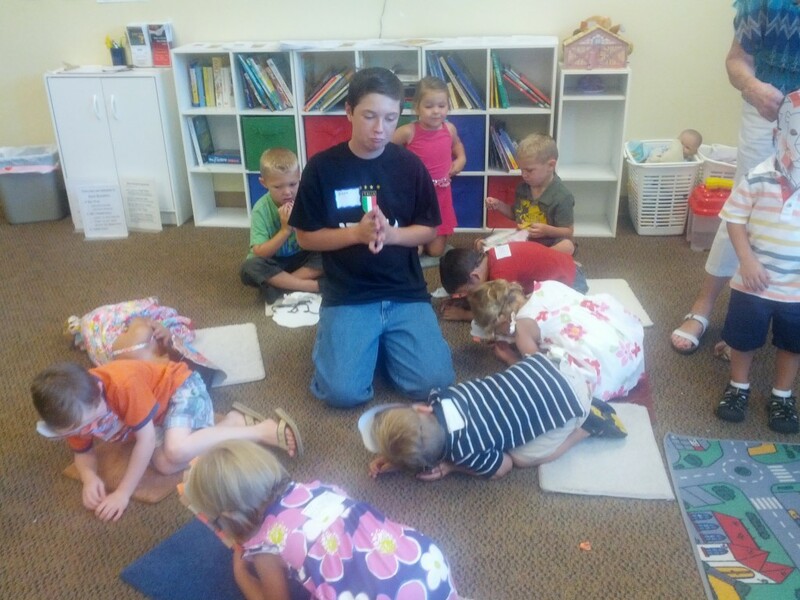 One thing we do in Busy Builders is teach children to pray. 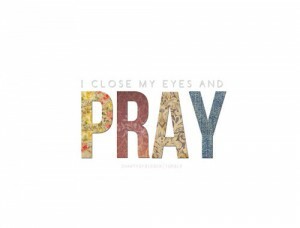 You might wonder if the littlest members of your family could lead a prayer and the answer is a resounding YES! Some of the best prayers come from children. The next time you have a family devotion or pray before a meal, ask your youngest to lead the family in the prayer. You might be surprised and touched by what you hear. I love your blog. This is great. I will share this on the MOPS Granite Springs Church FB page to help get the word out. Also, I’m hoping that my son will soon join the children’s ministry.